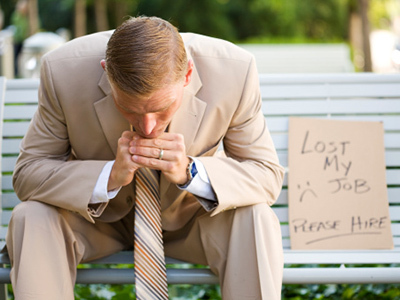 Two million out-of-work Americans are set to lose their unemployment benefits this month after Congress failed to agree on an extension. While politicians bicker, for the families who rely on this help, it means they may not be able to get by. Suburban survival, like a game of Monopoly, sometimes it all comes down to chance. “We saved and saved and saved and we got in," recalled Kathy Zell, an out of work realtor. "It wasn’t two months after we bought the house I lost my job, and it was like 'oh my god' what are we going to do, and [my husband] was like it’s ok my job’s going okay and I’m like alright." "My Christmas present was pink slip in '08 so I haven’t worked since 08," said her husband Bernard Zell, an out-of-work electrician. What do you do, when faced with losing it all? “I'm in negotiations with the bank to keep the house,” said Mr. Zell. “We are literally talking to the banks as we speak." “You learn to pinch this and pitch that and do what you can," said Mrs. Zell. "When you have kids you don’t want it to be too noticeable." When your bank account is bled dry and your retirement and savings has been exhausted, you only have unemployment benefits to live on. “I really need to get out to work, now, because we can’t hold one much longer we need these benefits," said Mr. Zell. And as the US Congress has shown in the last few weeks, the benefits can be easily suspended. It takes stepping back and reflecting, to see what that loss would do to this father’s hope. "Oh man, I don’t want to think about it," sobbed Mr. Zell. The Zell family lives in a very typical suburban neighborhood. It feels very far removed from Washington DC. But the decisions being made in the US capital are affecting their lives and literally making in the difference in whether a family like this can get by or not. In this recession, even when many people try their hardest to move forward, sometimes they can’t pass "go." Mr. Zell calls into the union electrician phone line every day to see if work is available, and reaches a busy signal because so many guys on the bench are calling in looking for work. And with some things you simply can’t afford to roll the dice. It’s a shield that allows some dreams to stay alive and remain unscathed in this home. And for the grown-ups who have given up on their American dream, facing the financial nightmare it has become, they now turn to the heavens. “We're living on a wing and a prayer here,” said Mr. Zell. When the federal benefits end, many Americans without jobs and without a savings will struggle even more to pay their bills and feed their families. Daniel Vision from the National Inflation Association in Los Angeles explained Congress is between a rock and a hard place. “There’s so many distortions in our economy. That’s what’s causing the weakness in the long term labor market. If they extend these and extend them and extend them, where does it story?” said Vision. 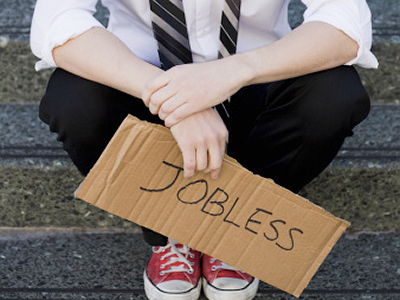 He explained jobs created via unemployment spending are continually dependent on government unemployment handouts. 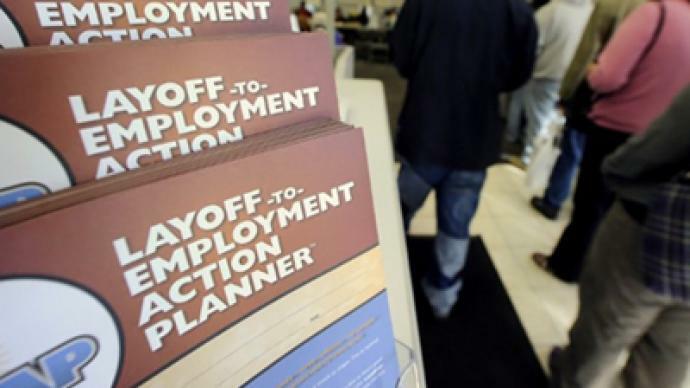 Unemployment benefits keep the economy moving, but at a sluggish pace. They do not fix the problem. “It’s going to take another invention boom just to absorb some of the jobs that were lost,” Vision said. Stimulus and government funds are not going to make that happen. Policies are distorting the economy. Rich people do not hoard their money, he explained, arguing they invest it and save it, creating capital for long term investment and job creation. This is behind the congressional push for keeping tax cuts in place for richer Americans as opposed to extending unemployment benefits which do not create long term growth. Government distortions and handouts have made a true recovery impossible. Politicians distorted the economy, creating an America of “consumer slaves”. Senators and congressional representatives are more concerned about reelection, not policy. Economist Max Fradd Wolff from The New School in New York said Congress is more focused on balancing the books, cutting spending, and addressing taxation. He explained Congress should not be inactive on the issues of extending unemployment benefits. Giving more money to the poor means they are then able to spend more, which will keep the economy moving, while cutting taxes for the wealthy encourages savings and investment as opposed to spending. “If we do give money to the neediest, other than the moral element, we know they will spend in all and that will increase the economic activity, said Wolff. Those in need must organize and protests, demand assistance from their leaders. “People don’t usually take care of the least in their societies,” said Wolff. But, “They do it when they’re forced too; when not giving the people what they want becomes more problematic than giving them what they want.